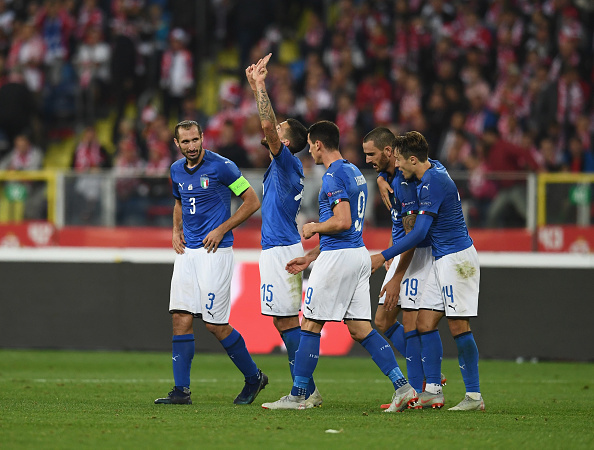 Italy has earn their first victory of the UEFA Nations League on Sunday after defeating Poland 1-0 a late goal from full-back Cristiano Biraghi. 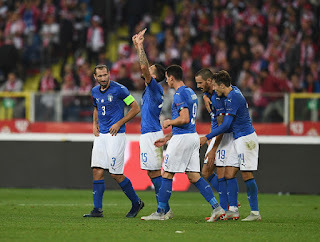 Italy dominated the most part of the game, they had many opportunity to open the scoring, but poor finishing and a great outing from Wojciech Szczesny kept them from scoring until Biraghi struck. Russia also beat Turkey 2-0 in a UEFA Nations League group match on Sunday. Playing at home in Sochi, Russia dominated the first half and scored the first goal with Roman Neustadter as he gavee Russia lead in 20th minute. In the second half, just seven minutes after entering the game, substitute player Denis Cheryshev scored the second goal for Russia in the 78th minute.